The country's not all sea and sand. Peppered with turquoise waters and lush green islands, the Philippines is considered by many as close as you get can to paradise. Over 7000 islands make up the entire country, so it’s difficult not to envision the Philippines as anything other than an island utopia. 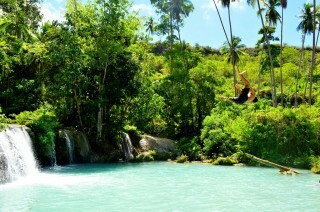 Yet, the Philippines is home to a slew of incredible places that aren’t all sand and sea. Head to the north of the Philippines and, perched just three hours apart, you’ll find Banaue and Sagada, both beautiful and odd in their respective ways. Banaue is recognisable for its rows upon rows of rice terraces, which were carved into the Ifugao Mountains by the indigenous tribes over 2000 years ago. Sagada, on the other hand, is all about inner beauty, with its sprawling networks of caves, which are home to centuries-old hanging coffins (more on that later). If you’re looking for a stunning local experience, the north of the Philippines is where you want to be. Seemingly untouched, it takes a minimum of 11 hours to reach the Philippines’ north by coach from Manila, but we can assure you, it’s absolutely worth it. You can experience both Banue and Segada in a few days, so there’s no need to rush. If you’re heading to Banaue first, like many do, it’ll set you back around $12 (PHP450). Jeepneys and buses are the method of transport between Banaue and Sagada. From Banaue, you’ll need to go to Bontoc and then onto Sagada. Trips to Bontoc cost $4 (PHP150) and Bontoc to Sagada is less than $2 (PHP50). In Banaue, you can see the lush, green rice terraces in all their glory – it’s almost as if they’re stairs made for a giant. Even in the centre of town, you’ll get the sense you’re in a cauldron of rice rows; that’s all you see both near and far. In fact, so expansive are the Banaue Rice terraces that they’re anecdotally referred to as the 8th Wonder of the World. Hapao Rice Terraces is the ideal place to hike if you’re looking for a leisurely walk and a place to take in the beautiful views, or snap a photo or two. Although you have to watch your step along the ridges of the terrace pools, Hapao is a generally comfortable hike. 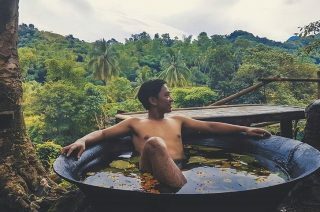 You’ll pass by local villagers, visit the rice paddies up close and, as an added bonus, end up at a natural hot spring, so be sure to pack your swimmers. For are more challenging hike, head for the Batad Rice Terraces. Steeper than Hapao, Batad requires more physical stamina, care and time, but that makes it arguably a more rewarding adventure. 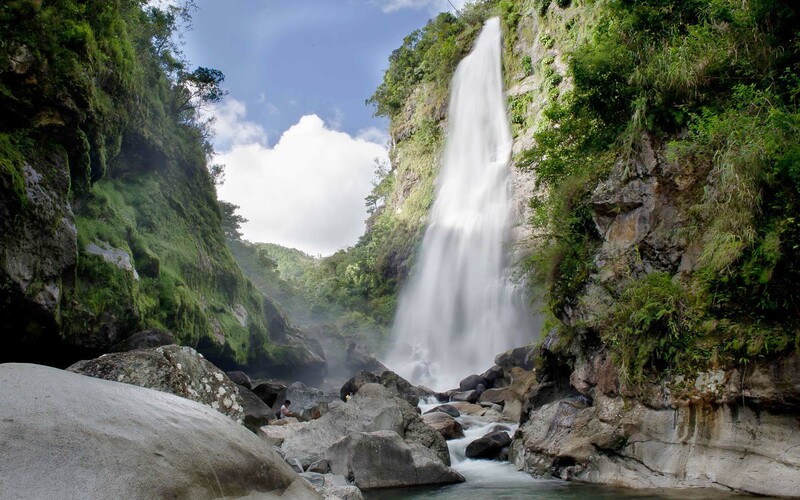 Equally beautiful, with panoramic views of the rice terraces, Batad is topped off with a visit to Tappiya Falls. There are plenty of guided hikes on offer locally. You can do day hikes and several day excursions if you book with a local independent travel agency or an international company prior to arriving. Deep in the Cordillera Administrative Region, Sagada untouched by Spanish rule, which means visitors have the opportunity for a real, authentic experience. Upon arrival, adventurers should make a beeline for Sagada’s “Big Cave”, Sumaguing. It’s full of magnificent rock formations, like stalagmites rising sharply from the cave floors. You’ll weave your way past boulders, steep descents and cave pools. There are opportunities to squirm in (and out) of the narrowest of cave pools, while abseiling is also popular. Keep an eye out for Shark’s Head, Chocolate Cake and the King’s Curtain rock formations, too! The experience is only recommended for adults, especially if it’s your first time. Make sure you hire a registered tour guide, wear appropriate footwear and, if possible, go in groups. 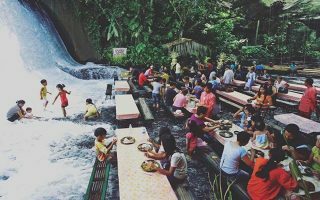 The most iconic cave in the country, you’ll get unparalleled satisfaction from overcoming Sumaguing’s nifty cave obstacles. It might sound eerie, but laying the deceased to rest in hanging coffins is a local tradition dating back thousands of years. It was started by ancestors of the Igorot tribes and is still practiced by a small number of people who believe the ritual connects the deceased with higher spirits. Others say the locals were simply afraid to be buried and washed away. A major attraction for visitors, the coffins are typically found within the walls of limestone cliffs and caves. Lumiang Burial Cave is one of the most accessible places to visit and is home to over 200 coffins. Don’t be spooked – it’s really fascinating! – but do be respectful. It’s an excursion you won’t soon forget.